Police arrested nine people on Tuesday in a major operation against the illegal drug trade in Christiania. A lengthy investigation helped police identify a network of people who have systematically produced more than 140,000 ready-made joints over a six-week period. 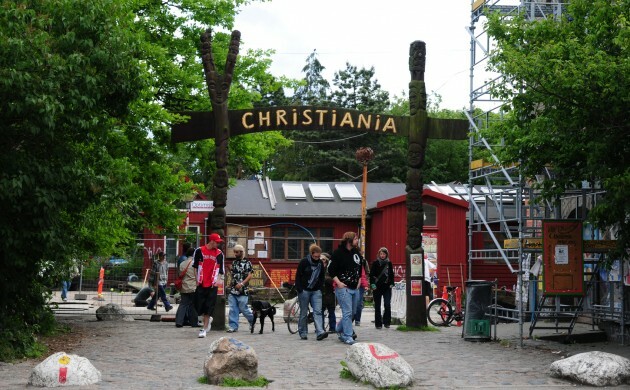 The joint factory was located in a shed in Christiania. A group led by people linked to the Hells Angels and the support group AK81 were involved in the production. Nine people were arrested at around noon on Tuesday. They are charged with having participated in and contributed to the production. One of those arrested is a 30-year-old Danish man who is a full member of the Hells Angels Nomads. Another 30-year-old is also linked to the biker group. The remaining seven are men aged 19-61. According to police, they are all involved in organised cannabis trafficking on Pusher Street in Christiania. “Today’s action merely confirms that organised crime is behind cannabis sales in Pusher Street,” Dannie Rise from Copenhagen Police told Jyllands-Posten. Police are actively seeking other suspects involved in the joint production operation.